Sometimes things just slip by. You try to remain vigilant, try to keep your senses tuned for those telltale signs that something good is out there waiting to be discovered, something above the ordinary, something maybe even exceptional, something that once having experienced makes all the time spent looking for it worthwhile. But no matter how vigilant you try to be, in the end there is so much exceptional, good quality music out there that fits under the Stoner Rock classification that you don’t always come across some of the best of it when it first becomes available. The thing is, though, that because it’s good, because it’s quality, it will surface and come to your attention in time, without fail. The two good things about a situation such as this is, one - there is sooooooo much good heavy, fuzzy rock out there you get to almost continually discover new stuff, especially with the help of sites like Heavy Planet, and, two - when you do find something that had slipped by you initially it makes that discovery a whole lot sweeter. 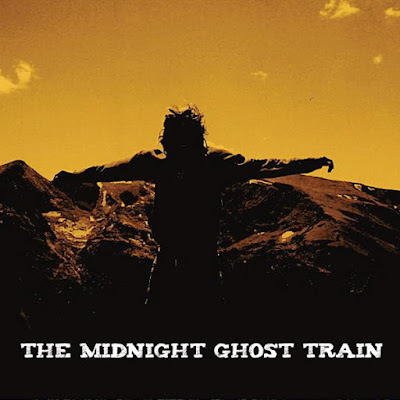 In 2009, one of the many high quality, yet obscure rock bands that tend to play their music with distortion, fuzz, and heart released an album, the self-titled “The Midnight Ghost Train”, the event itself was something of an exceptional achievement to which I’ll allude directly. It was the band’s first full length release, having released an EP the previous year, in 2008, titled “The Johnny Boy”. One of the self-proclaimed characteristics of The Midnight Ghost Train, or TMGT, is a love of playing their music live, of being on the road, playing in front of folks who enjoy the atmosphere of closeness and loudness, of heart and energy, of spit and sweat. So the main focus for them hasn’t ever been to cut a bunch of albums, but to always be out there, playing the venues where rock lives in its finest guise. The driving force of The Midnight Ghost Train is Steve Moss, who had decided to start a band back in 2007 in commemoration of his friend John Goff, presumably the Johnny Boy of their EP, who had died from a severe asthma attack while the two lived in Topeka, Kansas. Steve needed something exceptional to keep the memory of John alive, so The Midnight Ghost Train was born, and exceptional only begins to describe John’s memorial. but they have gone through a number of different players before arriving at this line-up. The one constant has been Moss, as to be expected. He is the founder of the band, the broker of the band’s style, the creator of unique, heartfelt, boisterous, and brawny music, and the force that drives the band forward and keeps the memory of his friend burning in his heart. The music of The Midnight Ghost Train is powerful, heavy, and muscular, blending a very strong foundation of blues into some of the heaviest guitar work around, guitar work laden with fuzz and distortion, played to levels that are surely beyond the recommendations of the equipment manufacturers. It makes for a wonderful sound, that isn’t so much robust as it is vigorous and raw. The songs range from haunting ballads to foot stomping romps, with the drums thundering and the bass booming in time and accompaniment to vocals that are lusty, powerful, deep, and resonant. From the opening track, “The Swell”, where you immediately get punched right in the face with powerful jabs of distorted guitar riffs that include the signature Stoner sound before accompaniment from the equally powerful bass and drums, to the closing track, “Woman of Hate” where the guitar grinds and echoes with power and rhythm before letting up for a short interlude that leads to a wonderfully structured anthem of emotion and power. “River Silt”, wonderfully measured and cautious in the beginning eventually propels you into an atmosphere of foot stomping, head banging, torso contorting frenzy. “Desert Red” is a haunting ballad that begins with an acoustic rendition along with a simple electric accompaniment overlaid by Moss’ tremendous and powerful vocals that blend eventually into a hard hitting drum rendition accentuating the urgency of the song. “Die With Me” begins as another ballad like rendition with lower key vocals to start before moving into a huge and heavy guitar riff that sits squarely on your back like the weight of the world. The Midnight Ghost Train offers a lot of heart and rawness, along with power and quality. Uniquely structured songs are accentuated with powerful, heartfelt vocals as well as some of the fuzziest, heftiest guitar work around. There is a lot to hear on this album, stuff that’ll be different from what you’ve heard before, but exactly the same as what you love about stoner rock, and deftly rendered by a gifted trio of musicians who take great pleasure in what they do by doing it far, wide, and often.